(Natural News) One of the world’s foremost experts on the bacteria responsible for Lyme disease has teased out the exact process by which Borrelia burdorferi survives the immune responses of the body. This discovery could pave the way for effective treatments of the persistent disease, according to a ScienceDaily article. Borrelia has always been a source of fascination for Dr. Utpal Pal of the University of Maryland (UMD). He spent 12 years studying it, which led to his discovery of the protein marker that the human body uses to label the bacterial infection as a target for the immune system. Now Dr. Pal has found another important protein. This one is created by the bacteria and is used to disable an early and important immune response launched by the body. To top it off, he also discovered that Borrelia doesn’t need this protein to survive the first wave of immune responses. Even if the immune system works perfectly and stamps out the initial infection, the bacteria will pop up weeks later. Humans have more bacterial cells in their bodies than their own cells. Most of these microbes are beneficial ones, but there are also some bad bugs. Once the body identifies a potential pathogen, it sics its immune system on the offender. The initial immune response is a non-specific wave that hunts down and kills any bacterium that doesn’t look nice. The process can take several hours or days. If the initial wave fails to defeat the infection, the body spends the next seven to 10 days learning all it can about the stubborn enemy. Then it dispatches a second wave of immune responses to finish off the remaining pathogens. “Lyme disease is actually caused by your immune system. This bacteria wins the first battle, and your body overreacts so much that it causes intense inflammation in all the joints and areas that the bacteria spreads by sending so many reinforcements to kill it,” Dr. Pal says. While the second wave finishes off the Borrelia infection, the resulting swelling takes a while to subside. This inflammation is responsible for most of the symptoms of Lyme disease. Even worse, many victims also experience post-treatment Lyme disease syndrome. Six to 12 months after finishing antibiotic treatment for Lyme disease, they suffer recurring and untreatable symptoms. Dr. Pal found that Borrelia can bounce back within weeks of the initial infection. He believes the bacteria have a second line of defense that counters the immune system’s second wave of attack, which makes them unique and very troublesome. Mosquito-transmitted diseases tend to hog the spotlight while tick-borne counterparts stay relatively unnoticed. But the Centers for Disease Control and Prevention (CDC) reports that 300,00 Americans catch Lyme disease every year. That number is not only growing, but it may also be worse than it seems. 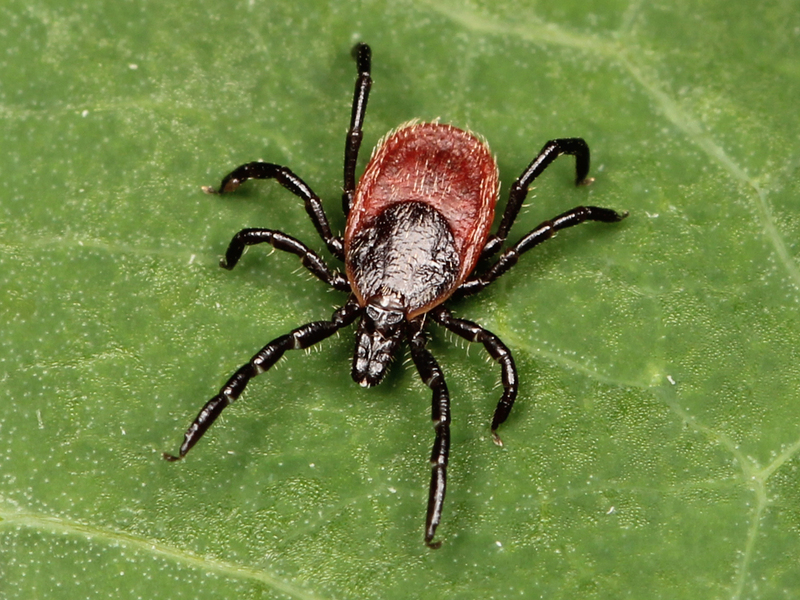 Dr. Pal believes ticks are responsible for most of the vector-borne diseases in the U.S. Furthermore, he puts forth that the symptoms of tick-borne diseases are often mistaken for other illnesses. Since the tick-related cases are reported as different diseases, the true scale of their threat is bigger than previously predicted. Read more articles about the newest scientific and medical breakthroughs at Discoveries.news.